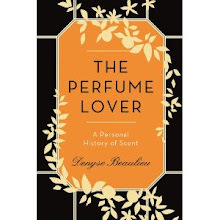 The American edition of my book The Perfume Lover, a Personal History of Scent, published by St. Martin’s Press, is going on sale on March 19th. And to celebrate, I'll be in New York. Karl Bradl and Robert Gerstner, the owners of the one and only Aedes de Venustas, have kindly offered to host a signature session in their boutique on March 22nd, from 5 to 8 P.M. I would be delighted if you could meet me there over Bellinis. Especially since it’s my first trip to New York, and indeed to the USA, since… well, let’s say the Ramones hadn’t broken up yet and leave it at that. From what I’ve heard, Séville à l’aube has been so successful many American retailers of L’Artisan Parfumeur are out of stock: a brand new batch will be making its way to the US in late April, and it seems it will no longer be a limited edition. So that readers will not be frustrated, with each book sold, I will be offering a sample of Séville à l’aube. Hope to see you there! 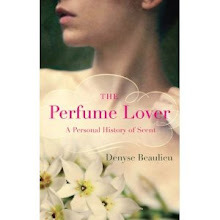 And if you can’t make it, you can of course purchase the American edition of The Perfume Lover on Amazon by clicking here. Friday March 22nd, 5-8 P.M.
Oh, I wish I could be there, but I probably don't have time to plan a NY trip in March. But congrats on the American launch of the book and enjoy your visit! Melissa, that's a pity. Thanks for your wishes! I'm looking forward to it. I live in New York, and I will try my very best to be there! I can't wait to read your book. come to houston next time! Thanks Minette! I'd have loved to do a proper book tour, but it's a bit trickier when you're flying in from Europe. Still, who knows? Best wishes for a wonderful time! I will finally get to read your work, in a book form! Thank you Carole. Hope you enjoy it. Desolee pour les fautes, Mon nexus 7 recoorige tout en anglais et lies touches don't miniscule s on y voit rien! Emma, mais évidemment, viens! Je pense qu'au moment où on a échangé rien n'était encore décidé. Et depuis que les dates sont décidées, c'est un peu la panique à bord parce que je dois boucler plein de boulots très lourds avant de partir (raison pour laquelle j'écris si peu pour le blog). Roberta, thank you. Séville à l'aube is certainly doing very well -- as for the book, since there are three foreign editions to be launched, well, we'll see whether it thrives! But I'm afraid I won't be posting on the MAD Museum exhibition since it is now over. :( I thought there would be a permanent exhibition beside the temporary one, it should be time perfume museums would pop up in a few cities, on a rather different style than classic ones. The MAD has no permanent exhibitionsn though some activities related to this one might still be going on. There is certainly room to conceive other approaches, though in the economic context it doesn't really seem realistic to consider permanent venues. As for an Italian edition, nothing for the moment. Again, times are tough, and to put out a foreign edition you need to pay a translator! I can't make it - much as I would love to go back to NYC with my newfound perfumista head on! - but wish you all the best with the launch event. Vanessa, I'd have loved to see you there, but perhaps we'll cross paths in Europe?